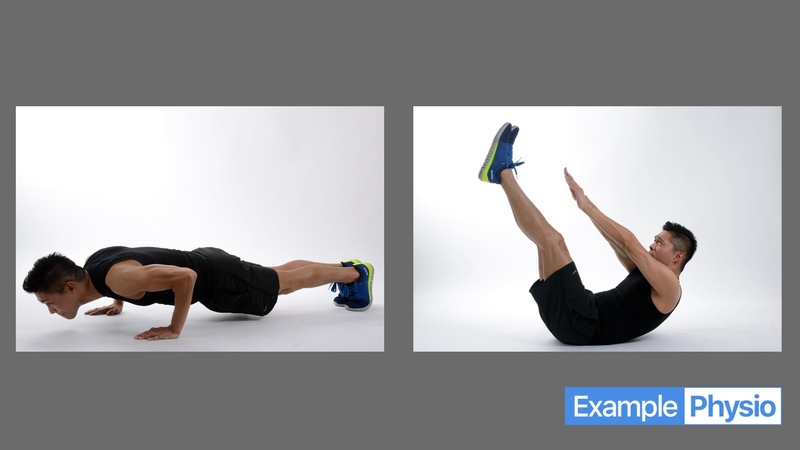 You can easily add a photo (or other static image) of an exercise instead of a video. 1. Go go Library > Exercises and click on the "+" button in the top right. 2. Choose " Static image or photo" and select an appropriately-sized (see below) image. Your image will be resized to fit in a rectangle of this size and the background color will be set to white. Your image must have be at least 500 pixels wide x 500 pixels tall. Don't add text to your image, except for perhaps your logo. If you wish to create a composite image, such as a collage with a start and end position, it is best to do this in a photo editing program such as Adobe Photoshop, Bohemian Sketch, or the free Adobe Spark. 1920x1080 pixels, JPEG, created in Sketch App. The background in this image set to dark grey to let the photos stand out, but you are free to set colors as you wish.